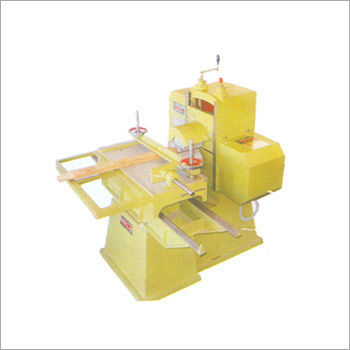 We are engaged in offering our esteemed clients with a comprehensive range of DD Saw Machines. 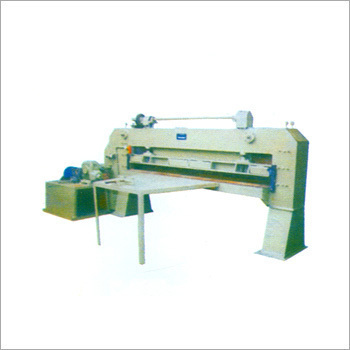 Our range of DD Saw Machines is designed and fabricated in compliance with the prevailing industry standards. These are ideal for cutting Plywood & Block Boards in varied sizes and are fitted with 4" seamless pipes, which are machined for accurate and smooth movement of the bracket. The brackets in this machine are fabricated using quality cast iron, and also have heavy duty MS channel frame along with a fabricated body of MS plate. It also includes 50 mm MS screw for the movement of brackets and double bearings for the movement of trolleys. We have gained the expertise to manufacture a qualitative range of Tenoning Machines. These are ideal for use in panel door manufacturing industries and various carpentry works. The body of our Tenoning machines are fabricated using heavy duty mild steel and has two blade rotors, which is well-balanced. Each of these rotors has four blades and our machine also comprises two motors for rotating these rotors. Our clients also have the flexibility to move the rotors up, down, forward, and reverse for getting a perfect cut on the wood. These Tenoning Machines are sturdily constructed and acclaimed by our clients for quality performance as well as high output. 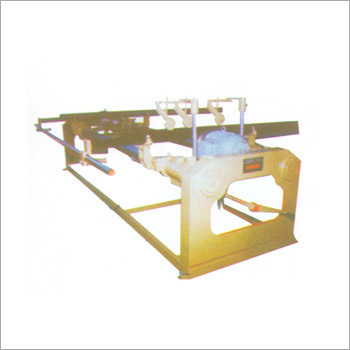 Our clients can avail from us a qualitative range of Guillotine Jointers. These are fabricated using quality raw materials and precision engineering techniques in our state-of-the-art manufacturing unit. Our range is also checked on various parameters to ensure its compliance with the prevailing industry standards. 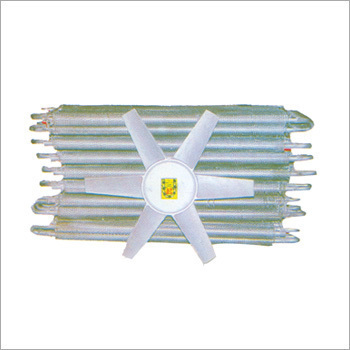 We offer these in various specifications as per the customized requirements of our clients and at competitive prices. Table Size: 102" x 24"
We are engaged in offering our clients with a qualitative range of SeasoningChambers. These are made available in different capacities from 250 CFT to 1250 CFT capacity chambers. We also manufacture Seasoning Chamber Coil using 1¼" Heavy Duty Seamless Pipes and Pipe Covers with aluminum fin. Our personnel make use of quality valves and gauges for long life of chambers and minimum loss of steam. These chambers also contain 4' aluminum fan brackets, air duck chimney, and fan covers. Our range is fabricated using quality materials and facilitates in making tasks easy to perform whilst being extensively used in commercial areas. We are engaged in offering our esteemed clients with a qualitative range of CNC Veneer Cutting Machines/ Veneer Cutters/ Rotary Veneer Clippers. These are fabricated using quality raw materials and advanced techniques of production in our manufacturing unit. Our range is widely acclaimed for features such as PLC control, continuous cutting, and high efficiency. 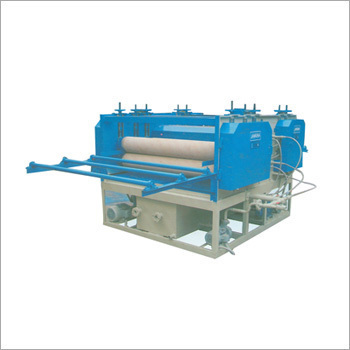 These machines can easily connect to the Spindle less Peeling Machines or Rotary Log Peeling Lathe Machines. 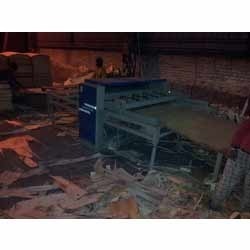 We also customize these machines as per the requirements of our esteemed clients. 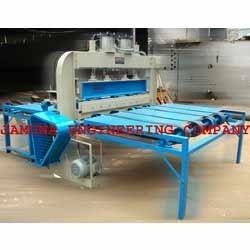 We are offering Spindle less Veneer Log Peeling Machine. Our Spindle less Log Peeling Lathe Machine is mainly used to peel the eucalyptus, cotton and other all fast-growing lumber. It uses PLC control system. 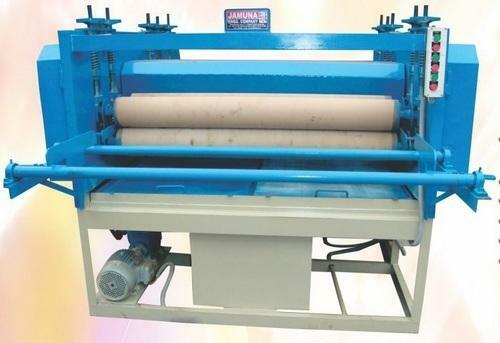 Our spindle less veneer peeling machine is very smooth in drive and also saves labour, time & stop wastage. 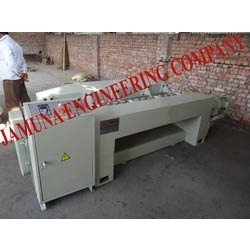 we also manufacture log debarker machine which removes strips of the log & make round suitable for working in log peeling machine. The main parts of the base is welded by thick steel plate. For the feeding transmission section, it uses magnetic speed-regulating motor to drive gearbox, then uses gearbox drive tool carriage. 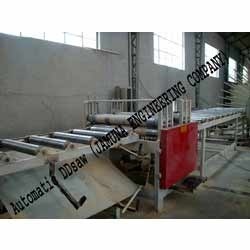 We are engaged in offering our clients with a comprehensive range of Automatic DD Saw Machine also known as, DD Saw Machine, Trimming Machine, Chain DD Saw, and Plywood Trimming Machines. These machines are semi-automatic models and include four sections viz. vertical sizer saw, horizontal sizer saw, feeding conveyor and turning roller table. Our range is ideal for trimming both sides of rough plywood into regular sizes at the same time. The turning roller table in these machines has a manual operation and requires one person to push the plywood into vertical sizer. Moreover, these are also ideal for trimming the plywood and thin block boards. 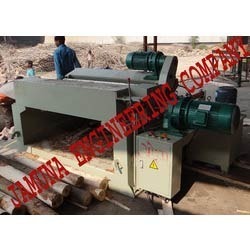 We are engaged in offering our esteemed clients with a comprehensive range of Log Debarking Machines, Spindless Log Debarker Machine & Round-up Machines. Our JEC1400 are newest model Log Debarker and fabricated using quality raw materials. These are ideal for core veneer peeling and can be used instead of Rosser head log Debarker and has the ability to bark the skin of small diameter logs and make the log round. It makes the task for spindle less veneer peeling lathe to peel the log more convenient. Our range also comprises a tool carriage (Knife Holder) that is driven by hydraulic cylinder, which provides the required extruding pressure to hold the log. Using this machine, the operator only requires controlling the handle in the front control panel and then adjusts the tool carriage forward and back. We bring forth our esteemed clients qualitative range of Pneumatic Clipper Machines/ Veneer Clipper Machines/ Veneer Cutting Machines. Our range is ideal for shearing the veneer, which has been peeled from rotary log peeling machines and spindle less veneer lathe machines. It comprises a blade that is fixed on a light alloy knife holder, and cuts the veneer against the supporting drum and takes about 1/20 second for one stroke. These are widely demanded in the Turkish market as well as in the Indian market.